Audi quattro, a legendary rally car. History and reproductions. 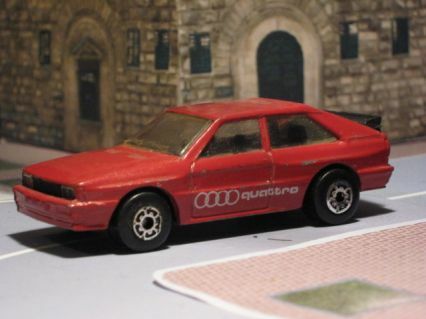 The Audi quattro, also called Ur-quattro is a sports coupe which was established between the spring of 1980 and mid-1991. With 11,452 units built, it was the first produced in larger quantities road vehicle with a permanent all-wheel drive. Derived from the Audi 80 and more closely by the GT Coupe, which also kept some sheet metal, the “quattro” first version presented substantial technical changes. The mechanics of 80 remained, in practice, part of the platform. The front suspension was totally new, as well as the rear, identical and rotated 180 º. The main feature of the “quattro” was, however, the permanent four wheel drive system with three differentials. It was the first big European sports car series (before her there were only two-wheel drive: the Jensen Interceptor FF of 1968, but was little more than a passenger car craft, and the AWD Subaru Leone, 1972) to adopt this technique. 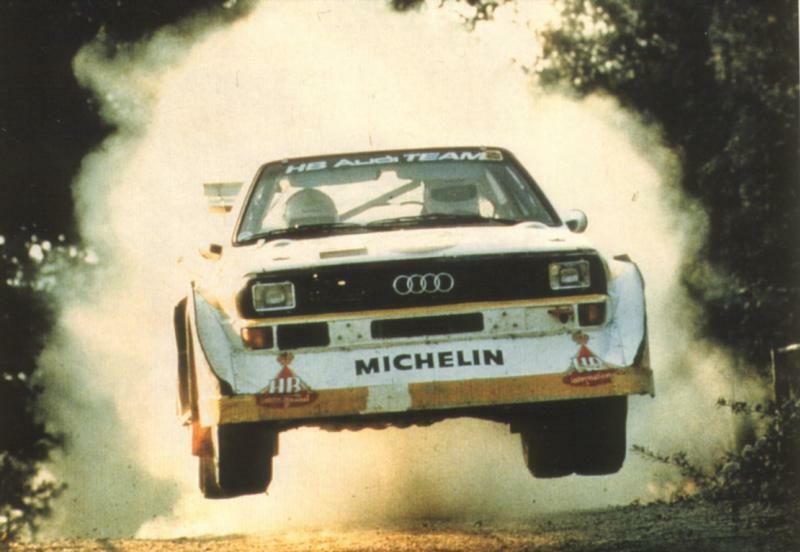 Audi quattro in World rally Championship. From the “quattro” was derived a racing car which participated in the 1981 and 1982 seasons in the World Rally Championship, winning the manufacturers’ championship in ’82 and a total of ten stage wins at the helm with Hannu Mikkola, Michèle Mouton and Stig Blomqvist. The “quatto A1” and “A2” were awarded the World Rally Championship in 1983 and 1984 drivers and manufacturers in 1984. The “Sport quattro S1” race helped to win the World Rally Championship (manufacturers and drivers) of 1984.